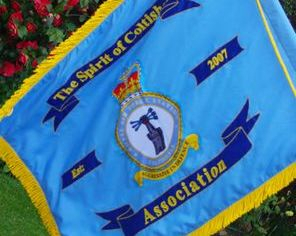 "The Spirit of Coltishall Association"
Whilst the demise of RAF Coltishall was still a fresh memory, it was proposed that an association be formed with the specific aim of perpetuating the memory of the station and fostering the one aspect that could not be drawn down, namely the "Spirit of Coltishall". This has now been achieved and the Spirit of Coltishall lives on. We are experiencing some technical difficulties with this web site, we are working to fix them as soon as possible. Thank You for your cooperation in this matter. The Web. Please view in Desktop mode. Construction of Light Aircraft is under way at the former RAF Coltishall. Company awaiting approval for runway use. "A big thank you to Hazel and her team for the trip to Eden Camp in Yorkshire over the weekend 6/7 April. A well organised event." "Thank you to all who took part in this year's Burns' Night. A really enjoyable night"
"Another big WELL DONE to Gil and his team. Gil, Doreen, Foz and Pat make an good team and produced an Excellent Ball. Of course you will have to better it next year but many peo..."